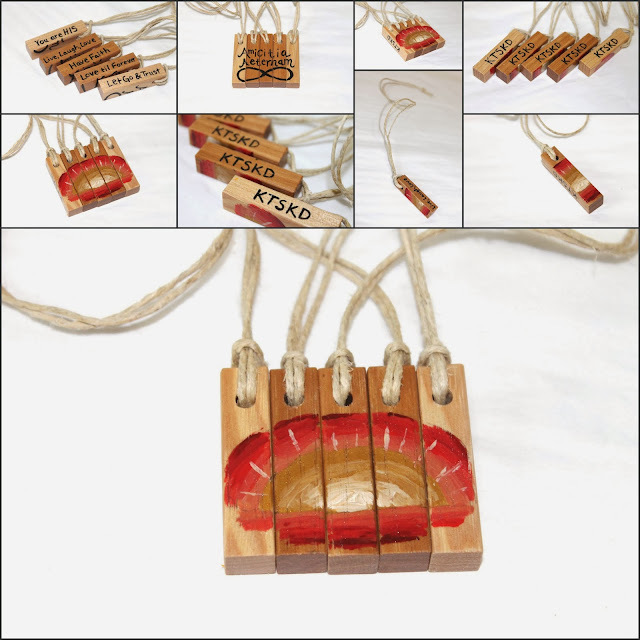 Today I finished up a custom order for a set of wooden friendship necklaces. I've made mountains in the past (which I still love), but I have to say, this sunset is my new favorite necklace set. It's always fun for friends to have a little something to bind them together - and what's more awesome than hand crafted jewelry? If you and your posse need some necklaces, I can make a set of 2, 3, 4, or 5 (like the sunset necklaces). I'm also always open to trying new designs! I still have a little bit of time open for custom Christmas orders - if you want in on all of the hand crafted custom action, make sure to get your order in by this Saturday (December 7th). My last pre-Christmas ship date will be December 13th, so all holiday orders need to be in by the 12th!